Popguns, Ninjas Poems, & D.J. 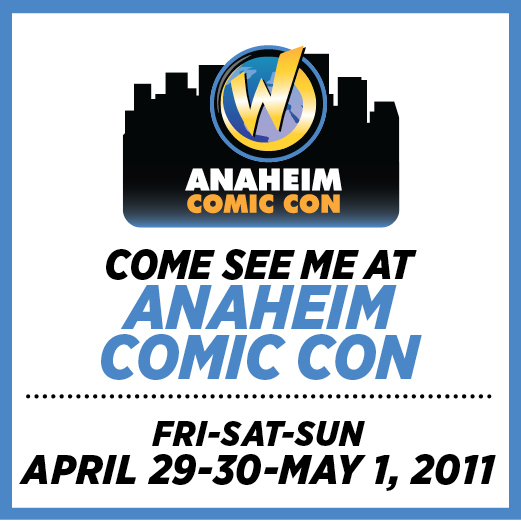 – Anaheim Comic-Con 2011! Posted on April 28, 2011 by D.J. D.J. 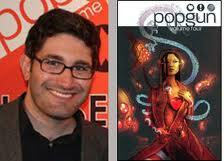 Kirkbride is an editor on all four volumes of the Eisner and Harvey award winning POPGUN anthology from Image Comics. He also wrote “Soulless, Man Without A Soul” stories for POPGUN volumes 1 and 2 and with Adam P. Knave co-wrote “Agents of the W.T.F.” and “The Black Decahedron” for volumes 3 and 4. His book of ninja poetry, DO YOU BELIEVE IN NINJAS?, was recently released by Creative Guy Publishing. I’m really looking forward to this, especially since I’ll be sharing my table with my friend and fellow POPGUN contributor, the amazingly talented Robert Love! We’ll also be around all sorts of other POPGUN pals, so it should be good times! If you’re going to the con, please stop by our table. I’ll have copies of all four volumes of POPGUN, a bunch of DO YOU BELIEVE IN NINJAS?, and some friendly chatting! Do you live in LA? Do you love ninjas? Do you love and live poetry? Posted on April 3, 2011 by D.J. If you answered “yes” to the three questions in the subject line, swing by Golden Apple Comics on Melrose. 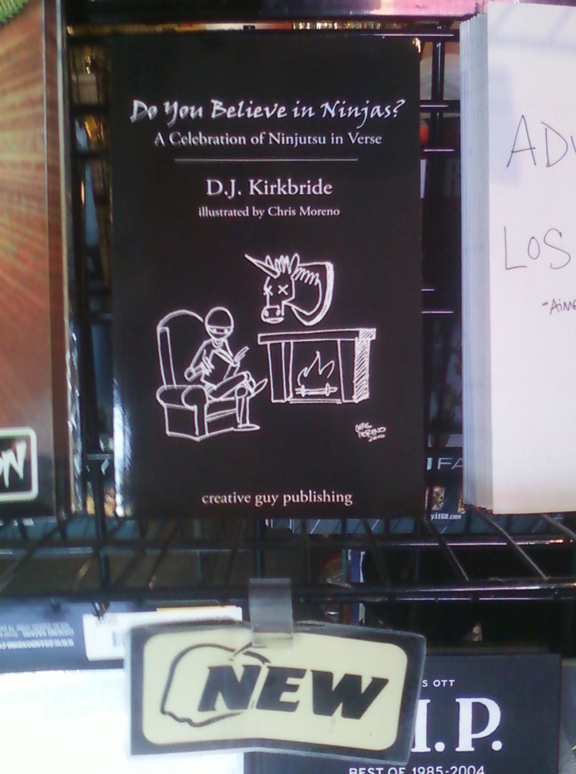 There are many terrific reasons to go there, but I’m posting this right now because they have copies of my ninja poetry book “Do You Believe In Ninjas?” from Creative Guy Publishing in stock. The book is a weird little thing — not a spoof or a goof, just kinda goofy and spoofy … not really spoofy. It also features delightful illustrations from Chris Moreno. Honestly, you should own it. If you are not able to make it to Golden Apple, you can always order the book on the Amazons dot coms.